If you have Sacroiliac joint problems and low back pain, you need to read this article. Even if you’ve already tried everything, and nothing’s worked, read this article… because in it, I’m going to show you something you haven’t seen or tried yet… a new, natural solution for Sacroiliac and low back pain… that actually works. You know what Sacroiliac (SI) joint pain is… you know it well. You know how much it hurts… every day. You know how much it disrupts, limits, and destroys the quality of your life. The worst thing about Sacroiliac joint pain is not knowing how to fix it. You’ve likely tried so many different treatments, methods, products, doctors appointments, physical therapy, exercises, injections, surgery… and nothing works. What have you tried so far to fix your Sacroiliac joint problems and low back pain? All of those solutions can provide temporary relief of your pain, which is good… but in most cases, for most people, none of those solutions can make your pain go away for good (or even long periods of time). None of them addresses THE REAL PROBLEM. THE REAL PROBLEM is: right now, your body is unable to function as it was naturally designed to… and this is why you’re in pain! Your Sacroiliac (SI) joint plays an important role in most of the movements you make every day, especially the larger movements that involve multiple parts of your body, like walking, running, climbing, jumping, sitting, standing, etc. And, your Sacroiliac joint relies on around 35 different muscles and ligaments for support and stability when it helps you make those movements. Due to excessive sitting, not enough activity and exercise, or too much activity and exercise, an inflammatory diet, and a number of other factors... many of those 35 muscles and ligaments that surround and support your Sacroiliac joint have become weak, inactive, short (contracted), and tight. Because these muscles and ligaments are weakened and impaired, they can no longer support and stabilize your Sacroiliac joint the way they were designed to. This leaves your Sacroiliac joint in the dangerous position of having to support your entire body and all of its movements by itself, without the help it needs from those 35 muscles and ligaments! This is THE REAL REASON injury, dysfunction and pain develop in your Sacroiliac joint. When your body is in this state, it is struggling every day because it was not designed to operate in this way. This is THE REAL PROBLEM we need to fix! We need to get your body back to the place where all of those 35 muscles and ligaments are strong, long, healthy, and regularly activating... so they can support and stabilize your Sacroiliac joint the way they were designed to. When this happens, your Sacroiliac joint and your body can also go back to operating the way they were naturally designed to. When this happens, your pain will disappear! And you can go back to your happy, healthy, active life the way it was before all this. Now, if it sounds like a lot of work, time, and effort to “fix” 35 different muscles and ligaments… DON’T WORRY. It’s not nearly as difficult as that. In fact, it’s extremely easy. I’m going to show you exactly how you can do it, right here, on this page. And you can do it with exercise alone. And you can do it all by yourself, in the comfort of your own home, without a gym or any expensive equipment. That’s right - you don’t need surgery, injections, physical therapy, pain pills, ice, wraps, braces, belts, a gym membership, or anything else! You can cure your Sacroiliac joint and low back pain with just exercise. But, not just any exercise program will do it. You need a different kind of exercise program (one that’s a little harder to find). ...because on this page, I’m going to show you a NEW exercise program designed specifically to return your body to its natural state, in which your Sacroiliac joint is able to function properly and optimally, so your low back pain, and pains in other areas of your body that are also being caused by this problem (e.g. hip, buttock, groin and Sciatica pain)... all go away for good! If you think you’ve tried everything, you haven’t tried this yet. I can’t guarantee it... but I’m confident that this exercise program is going to be the thing that HEALS your Sacroiliac joint and low back pain once and for all! You’re back to running, sports, hobbies - all the things you love doing. You’re back to playing with your kids (or grandkids) again without a care or worry. You can stand for long periods of time now, without the pain. You’re back to work, able to fulfill all of your duties. No more worrying about your Sacroiliac joint or your low back pain. No more wondering if the pain will get worse, or stay forever. 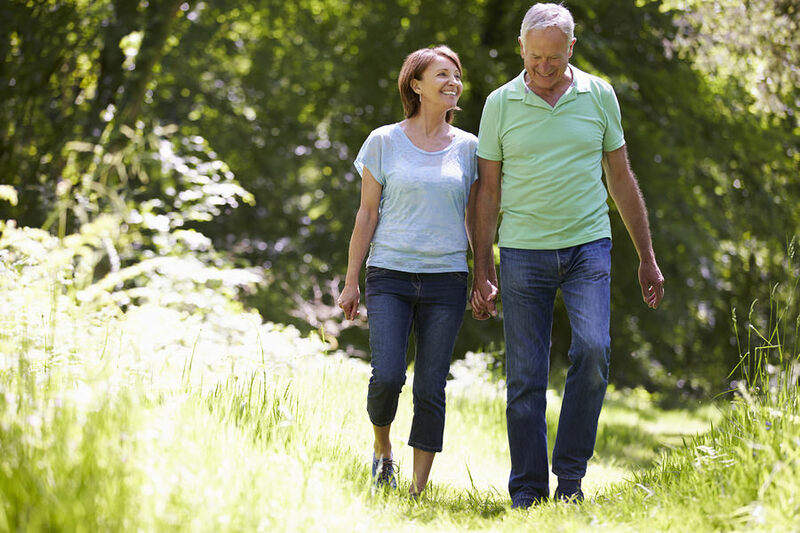 You’re back to a pain-free life, where you can be active and happy again. You’re sleeping like a baby at night, and you feel great when you wake up. You feel better emotionally too - you feel clearer, lighter, at ease, enjoying the present moment. That CAN happen for YOU. It has already happened for many of my clients. In fact, all you have to do is 10 - 20 minutes of easy, gentle exercises each day. You don’t need any expensive equipment. You can do it all by yourself... in the comfort of your own home. ...you can definitely do this program! And I’m going to show you EXACTLY how to do it so you can reduce and eliminate your Sacroiliac joint and low back pain FOR GOOD this time! 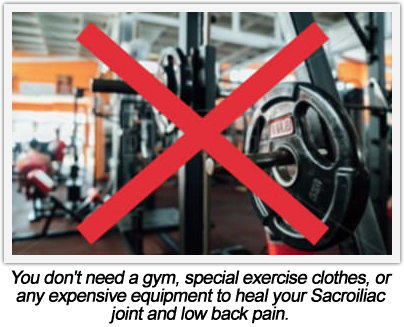 Unfortunately, most physical therapy and exercise programs for reducing and eliminating Sacroiliac joint and low back pain are designed by people who are unqualified. 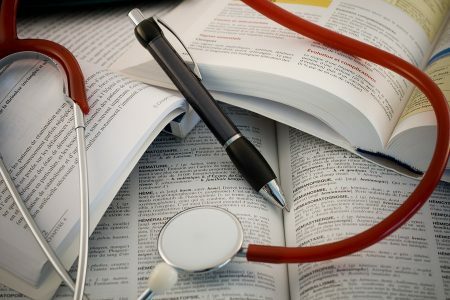 And just being a doctor, surgeon, physical therapist or “health and fitness guru” does not mean someone is qualified. 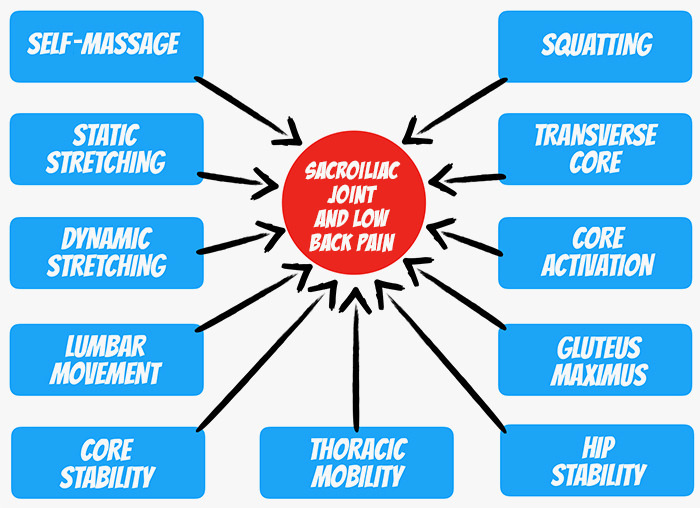 My name is Rick Kaselj and I developed the new Sacroiliac joint exercise program I’m going to show you on this page. Over the last 24 years, I’ve helped hundreds (maybe even thousands) of people reduce and eliminate their Sacroiliac joint and low back pain, for good! I have conducted thousands of personal training and pain-reduction sessions. 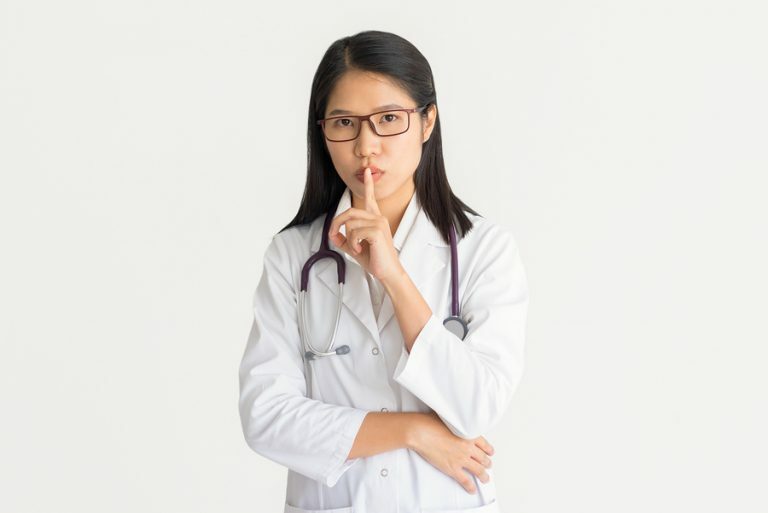 Most doctors, physical therapists and “fitness gurus” don’t have the time, inclination, patience, or willingness to review the latest scientific research and medical studies. Because of this, most exercise programs for Sacroiliac joint and low back pain are really just ‘made up’ and ‘best guesses’ about what will actually help people. 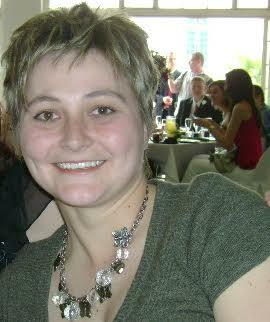 I’ve been a Registered Kinesiologist and Pain and Injury Specialist for 24 years. One of the lessons I’ve learned over and over is that exercise programs that are based on conclusions from real scientific studies and medical papers produce better results for most people. Al-subahi Moayad, Alayat M, Alshehri MA, et al. The effectiveness of physiotherapy interventions for sacroiliac joint dysfunction: a systematic review. Journal of Physical Therapy Science. 2017;29(9):1689-1694. doi:10.1589/jpts.29.1689. Boyle KL. Managing a Female Patient with Left Low Back Pain and Sacroiliac Joint Pain with Therapeutic Exercise: A Case Report. Physiotherapy Canada. 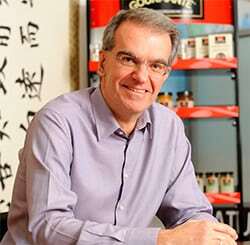 2011;63(2):154-163. doi:10.3138/ptc.2009-37. Cho B-Y, Yoon J-G. The effect of gait training with shoe inserts on the improvement of pain and gait in sacroiliac joint patients. Journal of Physical Therapy Science. 2015;27(8):2469-2471. doi:10.1589/jpts.27.2469. Jonely H, Brismée J-M, Desai MJ, Reoli R. Chronic sacroiliac joint and pelvic girdle dysfunction in a 35-year-old nulliparous woman successfully managed with multimodal and multidisciplinary approach. The Journal of Manual & Manipulative Therapy. 2015;23(1):20-26. doi:10.1179/2042618614Y.0000000086. Jung J-H, Lee S-Y. The effect of resistance exercise direction for hip joint stabilization on lateral abdominal muscle thickness. Journal of Exercise Rehabilitation. 2016;12(5):424-428. doi:10.12965/jer.1632652.326. Laslett M. Evidence-Based Diagnosis and Treatment of the Painful Sacroiliac Joint. The Journal of Manual & Manipulative Therapy. 2008;16(3):142-152. Massoud Arab A, Reza Nourbakhsh M, Mohammadifar A. The relationship between hamstring length and gluteal muscle strength in individuals with sacroiliac joint dysfunction. The Journal of Manual & Manipulative Therapy. 2011;19(1):5-10. doi:10.1179/106698110X12804993426848. Son J-H, Park GD, Park HS. The effect of sacroiliac joint mobilization on pelvic deformation and the static balance ability of female university students with sacroiliac joint dysfunction. Journal of Physical Therapy Science. 2014;26(6):845-848. doi:10.1589/jpts.26.845. Visser LH, Woudenberg NP, de Bont J, et al. Treatment of the sacroiliac joint in patients with leg pain: a randomized-controlled trial. European Spine Journal. 2013;22(10):2310-2317. doi:10.1007/s00586-013-2833-2. Yoo W. Effects of Individual Strengthening Exercises on Subdivisions of the Gluteus Medius in a Patient with Sacroiliac Joint Pain. Journal of Physical Therapy Science. 2014;26(9):1501-1502. doi:10.1589/jpts.26.1501. Yoo W. Effects of individual strengthening exercises for the stabilization muscles on the nutation torque of the sacroiliac joint in a sedentary worker with nonspecific sacroiliac joint pain. Journal of Physical Therapy Science. 2015;27(1):313-314. doi:10.1589/jpts.27.313. Yoo W. Effect of the single-leg, lateral oblique, decline squat exercise on sacroiliac joint pain with knee pain. Journal of Physical Therapy Science. 2016;28(9):2688-2689. doi:10.1589/jpts.28.2688. Because most doctors, physical therapists and “fitness gurus” don’t take time to review the latest research, they make some BIG MISTAKES and LEAVE A LOT OF IMPORTANT STUFF OUT of the back pain and Sacroiliac joint exercise programs they create. In other words, most exercise and physical therapy programs don’t work because they are too narrowly focused, and only offer a few approaches to reducing and eliminating Sacroiliac joint and low back pain. Because I spent so much time reviewing the scientific and medical research, I learned that there are MULTIPLE different methods, exercises, stretches and movements that have been PROVEN to be effective at reducing and eliminating Sacroiliac joint and low back pain for most people. Using these insights and everything else I learned studying the research, I created a comprehensive exercise and stretching program that utilizes 11 different approaches, that all work together, in a cumulative fashion, to return your body to its natural state, in which your Sacroiliac joint is able to function properly and optimally, so your low back pain, and pains in other areas of your body that are also being caused by this problem (e.g. hip, buttock, groin and Sciatica pain)... all go away for good… so you can go back to living a normal, healthy, active, happy, pain-free life! As you can see, my program is a lot more comprehensive, and includes a lot more approaches to healing your pain. IF YOU’RE WORRIED that my program looks TOO comprehensive, and that it will be difficult, complicated, or too time-consuming, don’t worry. In spite of the fact that my solution is so comprehensive, the routine you’re going to learn in the program takes only 10 - 20 minutes each day to complete, and is so easy and gentle that virtually any person can do it, regardless of age, weight, fitness level, or flexibility. 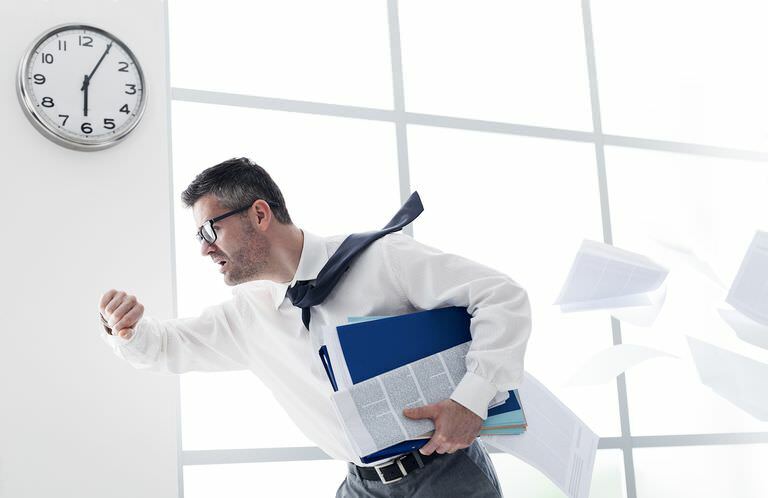 Do you already have a full work and life schedule? Or, do you just have ZERO DESIRE to do long workouts? No problem - this entire exercise routine only takes 10 - 20 minutes to complete. GREAT NEWS... You don’t have to do *ANY* of that! ...I’ve taken all of these concerns into consideration in developing the exercise routine I’m about to show you. 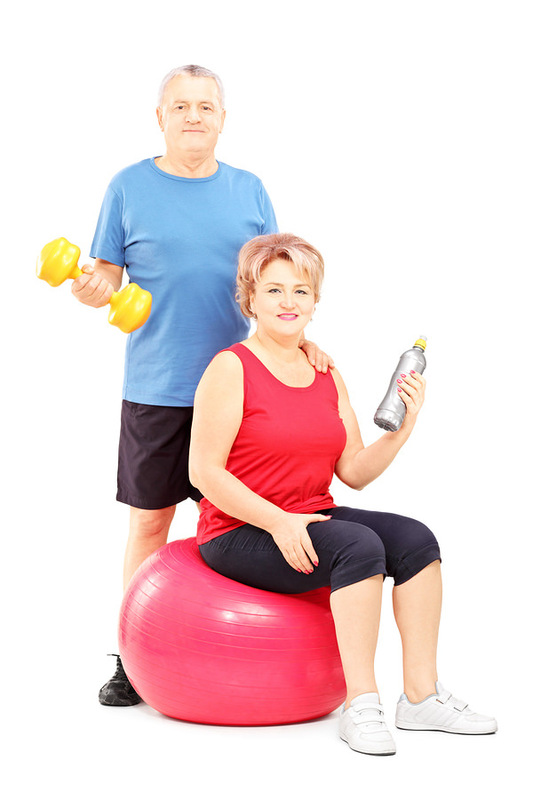 This exercise program was designed specifically for women and men OF ALL AGES who have Sacroiliac joint dysfunction or pain, low back pain, and other pains, knowing full well that people in this group have different exercise needs and capabilities. In this program, we give you three different stages of exercises - each is a different level of difficulty - easy, medium and advanced. This allows you to start wherever you feel comfortable (most people start right at the beginning) and customize the program for gradual progression, so you are comfortable at all times. If you have trouble with any of the exercises, I show you modifications that will make them easier so you can definitely do them. If the exercises become too easy for you, I also show you how to increase the challenge and difficulty so you can increase your progress. If you’re concerned about your Sacroiliac joint or back pain getting worse when you do these exercises, remember this routine was created especially for people like you who have these specific pains and problems. What most people find when they start doing the proper exercises for these specific pains is that you will start getting relief - not more pain. So, please don’t worry. I have created more than 30 exercise programs that help people recover from injuries and eliminate pain… and my programs work. I have regained ALL of the function I’ve had, which is pretty astonishing given how bad it was. So, what exactly is this new Sacroiliac joint exercise program? And how can YOU start using it too? After seeing so many clients who had chronic low back pain and other pains that were all caused by Sacroiliac joint dysfunction, I decided to create an exercise program that people could do on their own, in their home, that could help them get their body back to its natural state in which their Sacroiliac joint is operating properly and optimally, so all of these different pains would go away for good... and they could go back to a normal, healthy, active, pain-free life. And as I mentioned above, I created this exercise routine to be very easy-to-learn and do, so people ACTUALLY WOULD do it on a consistent basis. I also used all the latest and relevant research to make sure the program would be HIGHLY-EFFECTIVE. I call this new program: Sacroiliac Pain Solution. Sacroiliac Pain Solution is a video exercise program you can do at home, completely on your own. It’s a simple program of easy and gentle movements that only require your body and a few inexpensive items (NO GYM REQUIRED), and the whole program can be done in just 10 - 20 minutes each day. ...because it includes 11 different approaches to healing your Sacroiliac joint and back pain. Because we attack the problems from so many different angles, and with so many different methods, your pain has nowhere to hide and can’t help but go away! When the Sacroiliac (SI) joint is irritated, many times the gluteus maximus and piriformis muscles will tighten in order to protect the Sacroiliac joint. The problem is, when these muscles tighten up, they pull on the Sacroiliac joint, putting even more stress on it. So, the first thing we need to do is decrease tension in your gluteus maximus and piriformis muscles. The best way to do that is with some gentle self-massage. When we decrease the tension in these muscles, this will decrease tension and stress on your Sacroiliac joint. These gentle self-massage movements are the perfect way to start our program because they will lay the groundwork for fixing your Sacroiliac joint problems and they will provide some immediate pain relief for you. Most of the time with Sacroiliac joint problems, the hamstrings, gluteus medius, gluteus maximus and calf muscles will shorten in an attempt to protect the overworked Sacroiliac joint. And we see the same problem - in shortening, these muscles actually put more stress and tension on the Sacroiliac joint, which increases irritation and slows recovery time. So, we want to do some simple static stretching here so we can elongate these muscles back to their normal length, so we can remove that extra stress and tension from the Sacroiliac joint, so it can heal and recover faster. The internal and external rotator muscles of the hip will also tighten up in order to protect the Sacroiliac joint when it’s injured, and this also puts more stress on the Sacroiliac joint, which can inhibit its recovery. We need to loosen these internal and external rotator muscles in the hip, so we can relieve the additional stress on the Sacroiliac joint. The best way to do this is with dynamic stretching. Dynamic stretching is moving your muscles to form a stretch, but not holding it in the end position (you hold the end position in static stretching). In this approach, we will dynamically stretch the internal and external rotators of your hip so we can loosen the hip and take stress and tension off of your Sacroiliac joint. In this approach, you’ll also get some dynamic pelvis stretching and low back stretching. 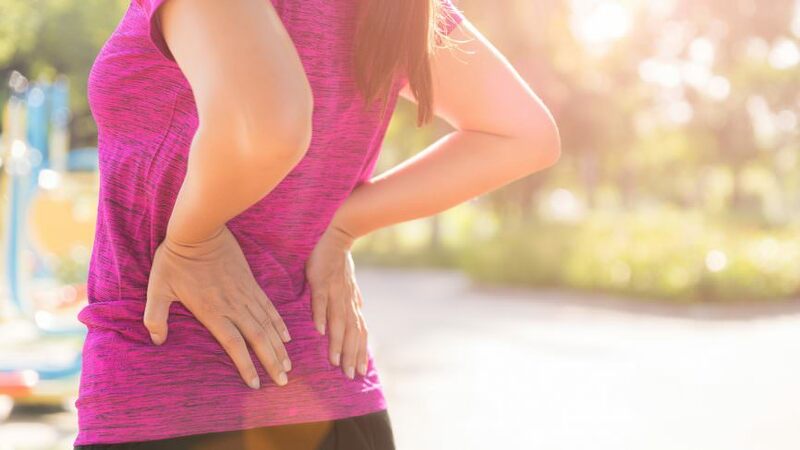 In most cases where there is Sacroiliac joint pain or injury, the muscles in the low back lumbar area have tightened up and are moving less than normal, and this puts more stress on the Sacroiliac joint, which makes it harder to heal. 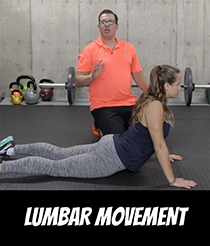 So, our goal with these Lumbar Movement stretches and exercises is to loosen up the muscles in the low back and lumbar area, and increase their mobility, so we can reduce stress and tension on the Sacroiliac joint, so it can heal faster. Most people who have Sacroiliac joint pain also have poor activation, endurance and strength in their core (abdominal muscles). Your core plays an important role in stabilizing your Sacroiliac joint and low back. But, if your core is weak, it can’t do this important job, which means your Sacroiliac joint and low back won’t get the help they need, and this is how chronic pain and injuries develop. With these stretches and exercises, we’ll specifically target the abdominal muscles that are designed to help stabilize the Sacroiliac joint and the low back. We’ll work on strengthening, lengthening, and activating these muscles so they can once again provide the stability your Sacroiliac joint and low back need. Many people who have Sacroiliac joint pain and injuries also have limited mobility in their mid back (thoracic) area because the muscles there have tightened, shortened and weakened due to many years of excessive sitting, limited activity, too much activity, or other reasons. With this approach, we’ll work on improving the movement in the mid back muscles. When we improve the movement and mobility in both the mid back and the low back (which we address with other approaches in this program), it will remove a lot of the stress and tension on the Sacroiliac joint and help with recovery. In addition to the core, there are other muscles in the hip area that help stabilize the Sacroiliac joint. 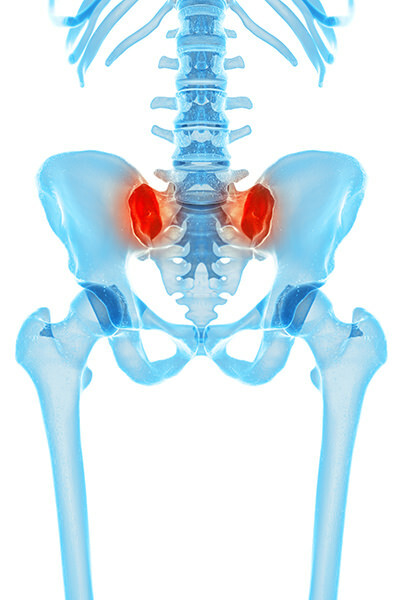 Most people who have Sacroiliac joint problems also have weakness and limited activation in these hip muscles, so this is a another area where the Sacroiliac joint isn’t being properly stabilized. When we lengthen, strengthen and activate these hip muscles, your Sacroiliac joint will be better supported and stabilized and can heal faster, and stay healthy permanently. That’s exactly what we’ll do with the gentle stretches and exercises in this approach. Your Sacroiliac joint relies on your gluteus maximus muscles for stability and support when you’re performing whole-body movements like walking, running, climbing, etc. Most people who have Sacroiliac joint pain, also have weak gluteus maximus muscles, and this means the Sacroiliac joint doesn’t get the stability and support it needs. This leads to a lot more stress, tension and ‘wear and tear’ on the Sacroiliac joint, which leads to injury and pain. So, our job with this approach is to strengthen, lengthen and activate your gluteus maximus muscles, so they can stabilize your Sacroiliac joint and take a lot of that stress and strain off of it, so it can heal faster and easier. Your core muscles play an important role in stabilizing your Sacroiliac joint and low back. In this approach, we’ll focus on some gentle stretches and exercises that will help ‘wake up’ your core muscles and get them in the habit of activating more, when they’re supposed to, so they can provide the support and stability your Sacroiliac joint needs to help you perform many different movements you make each day. 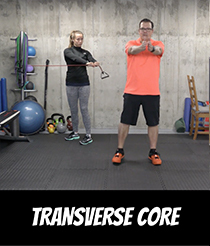 So far, with the Core Stability approach and the Core Activation approach, we’ve helped activate and strengthen the core, so it can support and stabilize the Sacroiliac joint better. But, working on the core in different planes of movement can provide another layer of support and stability to the Sacroiliac joint. With this approach, we’re going to increase activation, strength, and endurance in the core muscles in the rotational plane of movement. This will further reduce stress, strain and tension on the Sacroiliac joint (especially when you’re rotating your trunk), it will help the Sacroiliac joint to heal faster and easier, and will protect against future injury. With these squatting exercises, our goal is to strengthen the muscles around the hips and knees, and activate, strengthen and build endurance in the gluteus maximus and gluteus medius muscles, so your Sacroiliac joint will be properly supported and have less stress and tension, which will help it heal and prevent future problems. 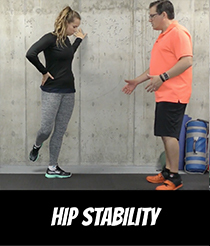 We’ll start with a gentle quarter squat in Stage 1 of this program, and gradually work up to a full squat in Stage 3, so you can reap all the benefits of this highly-effective movement, while progressing at the pace that is comfortable for you. First 100 people get it for just $37! 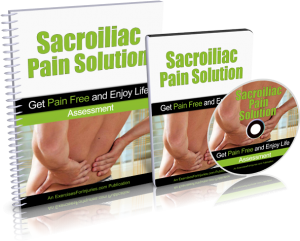 Get INSTANT ONLINE ACCESS to the Sacroiliac Pain Solution. ATTENTION: ONLY THE FIRST 100 PEOPLE who test-drive this new program will get the discounted price of $37! My team and I have just finished COMPLETELY UPDATING the Sacroiliac Pain Solution program. We shot all new videos, we created all new manuals, we added more resources like cheat sheets, reference guides, tracking sheets, and lots more! THE NEW PROGRAM IS AWESOME! 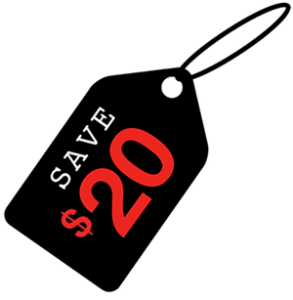 We’re offering this discounted price of $37 to get this new version into the hands of a big group of people, so we can get some quick feedback and keep improving the program. 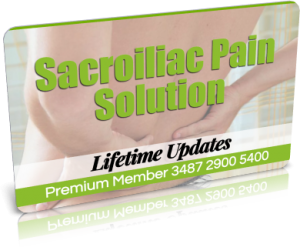 After the first 100 people order, the price for Sacroiliac Pain Solution goes back up to $57. UNLIKE MOST OTHER programs this, Sacroiliac Pain Solution is based on scientific research and medical studies. In my 24 years as a Kinesiologist and pain and injury specialist, I’ve seen that the programs that are based on the conclusions of real medical and scientific research just work better than those that aren’t. You can do this whole exercise routine in just 10 - 20 minutes every day. You can do this exercise program in the comfort of your own home - you never need a gym or any expensive equipment. This is not just a bunch of exercises thrown together with the HOPE that they will reduce and eliminate your Sacroiliac joint and back pain. This is a CAREFULLY DESIGNED SYSTEM based on medical research, scientific studies, and real-world testing. If you have trouble with any of the exercises, I show you modifications that will make them easier so you can do them! I want this program to be the last thing you have to do to fix your Sacroiliac joint and low back pain. Below is a description of exactly what each component of the program is and how each helps get you to your ultimate goal >>> NO MORE SACROILIAC JOINT PAIN AND NO MORE BACK PAIN! It’s very important, before you get started, to assess your current condition. This is the first thing I do every time I see a new client with Sacroiliac joint problems and low back pain. We need to understand how much pain you’re experiencing now, how serious your injury is, and what range of motion you can currently handle. Having this information will prevent further injury, and help you get the best possible results, in the shortest amount of time. In your Self-Assessment Package, you get a video and a brief manual that walk you through, step-by-step, how to perform a simple self-assessment. Based on this information, you’ll know exactly where to start in the Sacroiliac Pain Solution program and you’ll have a benchmark to help you measure your progress. When you get the Sacroiliac Pain Solution program, I want you to come up to speed FAST on what you need to know, so you can get started FAST, and start reducing your pain FAST! So, I’ve distilled the educational content of the program down to the most important summary points you need to know. 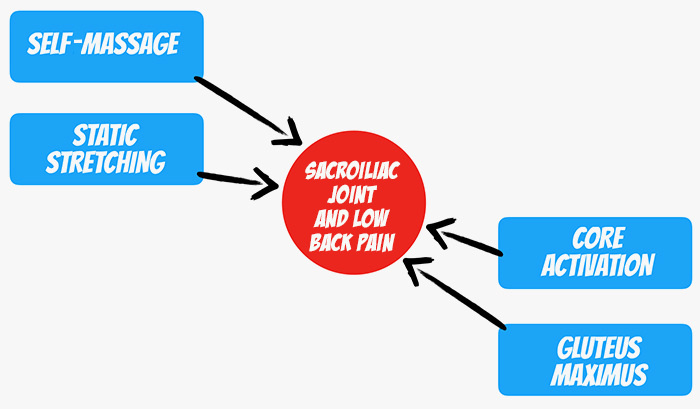 In this Quick-Start Cheat Sheet, I explain, in plain English, what Sacroiliac joint pain is, how it works, what causes it, what the common symptoms are, which activities make it worse, and some important tips for healing it fast. Sacroiliac Pain Solution is a comprehensive program of gentle, yet highly-effective stretches and exercises designed to return your body to its natural state, in which your Sacroiliac joint is able to function properly and optimally, so your low back pain, and pains in other areas of your body that are also being caused by this problem (e.g. hip, buttock, groin and Sciatica pain)... all go away for good! First… don’t be scared or overwhelmed by the fact that this exercise program has 3 stages. If you follow the instructions and do just the Stage 1 sequence, you should feel a significant reduction of your Sacroiliac and low back pain within 7 days. And Stage 2 and Stage 3 are there to help you progress gradually - at the pace that’s perfect for you, until you reach your ultimate goal of completely eliminating your Sacroiliac joint problems and low back pain, so you can get back to a healthy, normal, active, happy, pain-free life! ...so you can do it consistently, until your Sacroiliac joint and low back pain are gone, and you can get back to your life the way it was before this. These videos make doing this program SUPER EASY. Once you get into the program and start learning the exercises, you may want a faster, more convenient way to access the exercises, rather than having to fast-forward through the videos, and leaf through the manuals every time. That’s exactly what these Exercise Quick Reference Guides are for. You get an Exercise Quick Reference Guide for each of the 3 Stages in this program, so you’ll have a quick and easy way to find, learn, and do all of the exercises in each stage. In each Exercise Quick Reference Guide, you get a start- and end-photo for every stretch and exercise, a quick summary of the stretch or exercise, and instructions for how to do it correctly. Peter Drucker said: “What gets measured, gets improved.” In my 24 years as a Kinesiologist and pain and injury expert, I’ve seen time and again that the people who measure their progress while they do my programs typically get better and faster results than those who don’t. 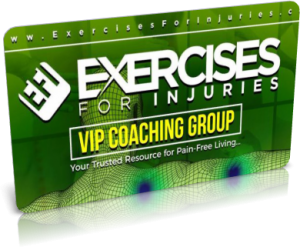 If you’re one of the first 100 people to test-drive Sacroiliac Pain Solution, you’re going to get FREE LIFETIME ACCESS to my Exercises For Injuries VIP Coaching Group. In this group, you can have all of your questions answered by my team of health and fitness experts. You’ll also get support, accountability and inspiration that isn’t always available in your own life. Support, accountability and inspiration are critical to ensuring that you follow through on the Sacroiliac Pain Solution program, so you can return your body to the state in which your Sacroiliac joint is able to function properly and optimally, so your low back pain, and pains in other areas of your body that are being referred there by this problem, all go away and don’t come back! 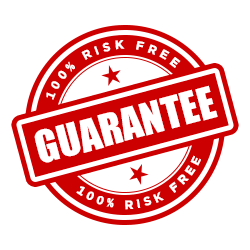 Why do I offer a 60-day, 100% money-back guarantee on Sacroiliac Pain Solution? I want you to know that you have no risk, so you can get this program and use it with peace-of-mind. I want you to be focused on learning and doing the easy, gentle movements and stretches in this program so you can reduce and eliminate your Sacroiliac and low back pain AS QUICKLY AS POSSIBLE. I don’t want you to have to worry about whether this is going to work, or whether you’re going to lose out, or anything like that. With my 60-day guarantee, you can put your mind at ease and just focus on doing the program and getting the results you want. 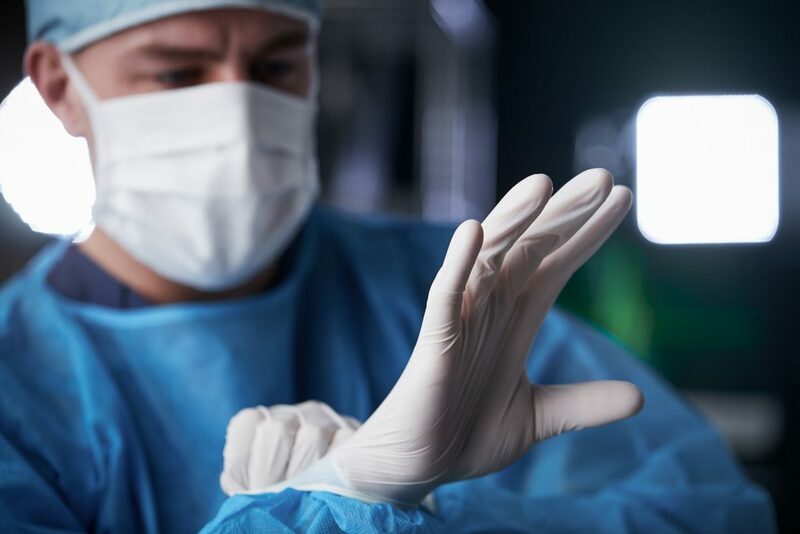 Who created the Sacroiliac Pain Solution program? I have 24 years of experience helping people reduce and eliminate Sacroiliac joint and low back pain. 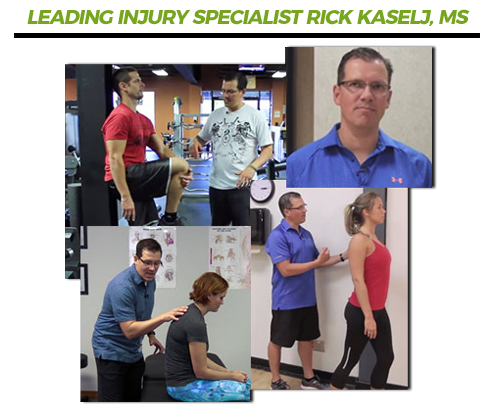 I regularly teach my techniques and programs to other Kinesiologists, fitness professionals, and healthcare providers. 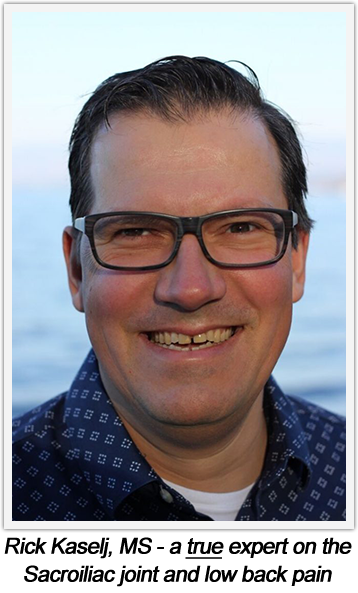 I’m also an author and speaker, and I’ve given over 260 presentations to more than 5,000 healthcare professionals across Canada and USA. You save money. You won’t need expensive therapy appointments, training sessions, courses or seminars. These videos alone can help reduce and eliminate your Sacroiliac joint and low back pain, so you can get back to the normal, active, healthy, pain-free life you had before this. Brief overview of what Sacroiliac joint pain is, how it works, what causes it, what the common symptoms are, which activities make it worse, and some important tips for healing it fast. 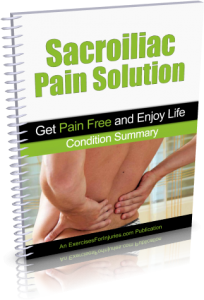 Anytime the Sacroiliac Pain Solution program is updated, you will receive a free copy of the new version. You can TEST-DRIVE this program for 60 days with no risk! If you still have Sacroiliac joint and low back pain, just get this program and try it out for 60 days. It’s only $37, and you’ll get all your money back if you don’t get the results you want. You have 60 days to go through the whole program, do all the stretches and exercises, see what results you get, and judge for yourself whether it was worth it or not. If you feel like it wasn’t, we’ll gladly refund all your money. No problem. 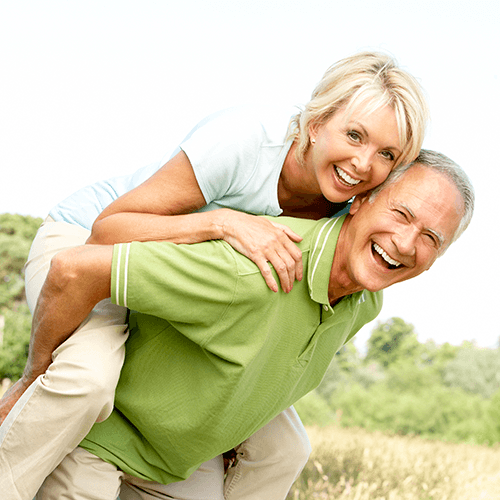 You don’t have to join a gym, or buy any expensive equipment to do the Sacroiliac Pain Solution program! No problem. I designed this program so you could complete it in 10 - 20 minutes every day. This, combined with the fact that you don’t need a gym or any expensive equipment, might make this the most convenient exercise program ever! You can do this program if you have mild or serious low back pain. You can do this program if you have a very busy schedule - the whole routine takes only 10 - 20 minutes each day. The only person this program is NOT for, is someone looking for an instant fix. There is no such thing as an instant fix for healing Sacroiliac joint dysfunction and pain. This program takes some work on your part and takes some time to get the results you want, but the good news is: it doesn’t take very long. Q: I was surfing around the Internet and found a bunch of exercises for Sacroiliac joint and low back pain. Will these help? You can definitely find exercises for Sacroiliac joint and low back pain online. But, you won’t find a comprehensive program that includes 11 different approaches designed to work together to give you gradual, cumulative progression toward the ultimate goal of reducing and eliminating your Sacroiliac joint and low back pain for good. You won’t find a complete program that has been carefully crafted, by a TRUE expert, and is based on scientific research and real-world testing, that includes ONLY the necessary exercises, with instructions on how to do them in just the right sequence, with the right number of repetitions and sets. That’s exactly what Sacroiliac Pain Solution is. While many of the exercises and movements in this program are performed with your body only, you will need a few basic and inexpensive items that you can purchase at most department stores, sports equipment stores, or on Amazon.com. This will all be covered in the program so you know exactly what to get and how to use it. 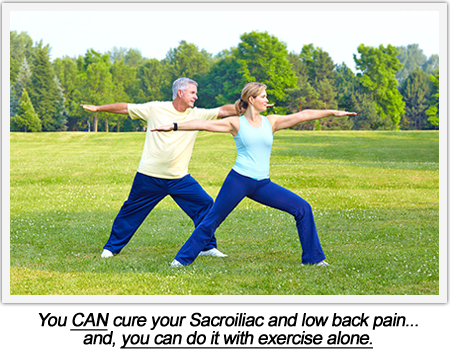 Each exercise session in this program is designed to take between 10 and 20 minutes to complete. It may take a little longer in the beginning as you’re first learning the stretches and movements, but you’ll have it down to 10 – 20 minutes in no time because these sequences are very easy to learn. Although everyone is different and will experience different results, many people experience a reduction in their Sacroiliac joint and low back pain in as little as 7 days. Yes, and no. Most fitness and health professionals take a shotgun approach to exercises for injuries. They keep giving you more and more exercises, hoping they will help. I don’t do that. My program includes only the exercises you need. I also recommend you do them in a specific sequence and I give you precise instructions on how many repetitions and sets you need to do. My program has been carefully designed, based on scientific research and real-world testing, and it is a SYSTEM that has already worked for other people. There will be no guesswork or confusion on your part – everything is laid out clearly and easy for you to follow. My best advice for you is to stop all of the other exercises you are doing, and focus only on the Sacroiliac Pain Solution program for at least the next 14 days. There are no DVDs – we won’t be sending you anything in the mail. This is a digital video program, which means you can access everything online, on our secure download web page. 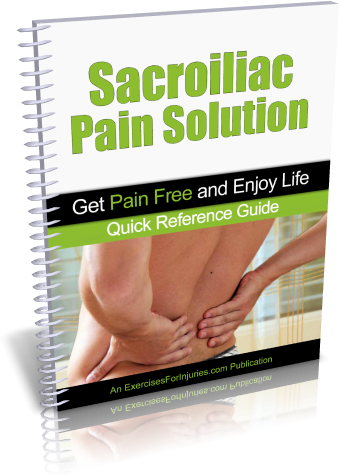 You get access to this download web page and everything in the Sacroiliac Pain Solution program (all the videos, manuals, reference guides, and trackers) immediately after you order. You can immediately download everything onto your computer and get started right away. You don’t have to wait for anything to arrive in the mail. Q: What if the Sacroiliac Pain Solution program doesn’t work for me? A brief overview of what Sacroiliac joint pain is, how it works, what causes it, what the common symptoms are, which activities make it worse, and some important tips for healing it fast. joint and low back pain? Your Sacroiliac joint and low back pain could get worse. It might become MORE difficult and painful to do normal, everyday things... like climbing stairs, walking across the room, and driving your car. It might become terribly painful just to dress yourself in the morning, or go to the bathroom. I don’t mean to scare you with these possibilities, but these things do happen to people who have Sacroiliac joint pain and low back pain. ...instead of waiting to see what happens, you could just TRY my Sacroiliac Pain Solution program RIGHT NOW and see what kind of results you get. And if you don’t like the results, just contact my team within 60 days, and we’ll give you all your money back. If you try my program, I’m 98% sure that within 30 days (or sooner!) you’ll start seeing some new and positive results. And you’ll start feeling A LOT better! ...to see if this program could actually help you cure your Sacroiliac joint pain and ERASE YOUR LOW BACK PAIN FOR GOOD, so you can go back to your normal, active, healthy, happy, pain-free life... the way it was before all this? ATTENTION: ONLY THE FIRST 100 PEOPLE who test-drive this new program will get the discounted price of $37 and the 2 special bonuses! 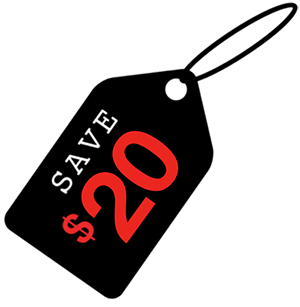 We’re offering this discounted price of $37 and the 2 special bonuses to get this new version into the hands of a big group of people, so we can get some quick feedback and keep improving the program. After the first 100 people order, the price for Sacroiliac Pain Solution goes back up to $57 and the 2 bonuses will no longer be included.